We stopped in St. Louis on the way to Kansas City for a Tigers series. 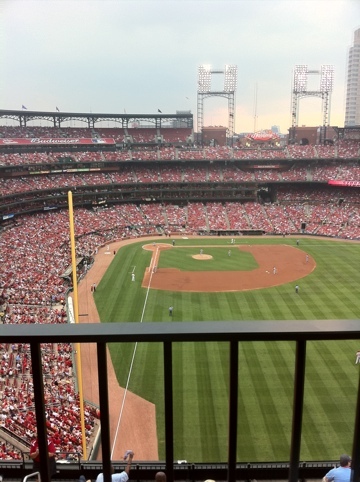 Busch Stadium did not impress me. It has 4 levels of seats around most of the stadium that makes it seem claustrophobic. Having only a mild rooting interest we bought cheap seats and ended up ABOVE the right field foul pole. The Stadium does have a Build-A-Bear Workshop that is reasonably priced if you have anyone in that demographic. The game itself was 5-0 before the Cardinals recorded an out. 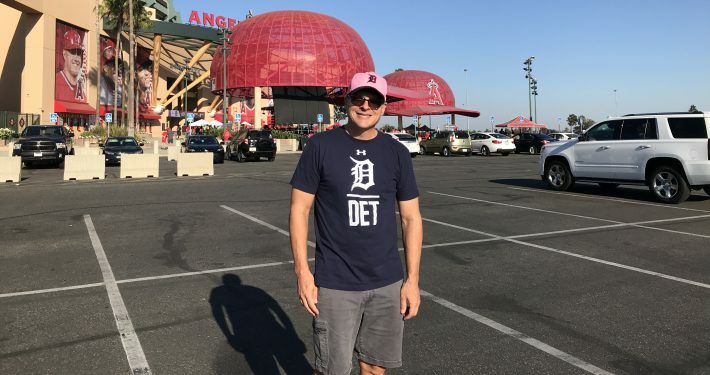 It was 8-0 in the 6th when we left. I suppose the Reds won. The Reds did win, 9-8 in 13 innings. I guess we saw half this game. The train let’s you off across the street from the stadium.